Paris: Spanish veteran Fernando Verdasco stunned ninth seed Alexander Zverev at Roland Garros on Tuesday, eliminating the in-form German 6-4, 3-6, 6-4, 6-2 in a first round match that was suspended overnight after a long debate between both players and the umpire. 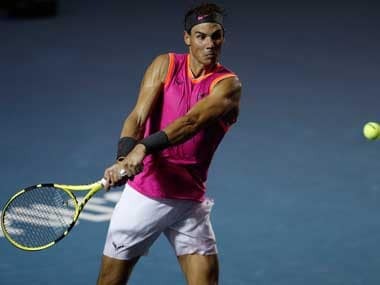 The 33-year-old clay court specialist outmuscled the German when play resumed on Tuesday at one set each, with Zverev having lost momentum from a day earlier when he had grabbed the second set and looked in control. Instead of pushing to play on on Monday evening, Zverev agreed to Verdasco's request to call a halt shortly after 8:30 p.m. local time, a decision that proved disastrous for the German. The 20-year-old world number 10, who has already won three titles this year including the Italian Open and was seen as an outside bet for the title in Paris, had no answer on Tuesday to Verdasco's punishing ground strokes. The Spaniard, who has won six of his seven career titles on clay, broke Zverev twice to clinch the third set before the German collapsed in the fourth. Meanwhile, third seed Stan Wawrinka's launched his bid for a second French Open title with a slow start on Tuesday, toiling to find his rhythm before ultimately beating Slovak qualifier Jozef Kovalik 6-2, 7-6(6), 6-3. 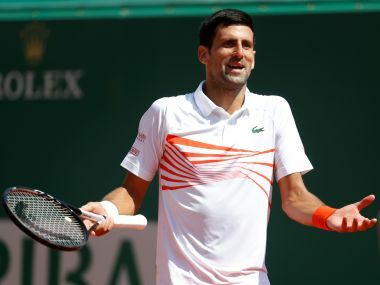 The 2015 champion struggled to time the ball on an overcast Court Suzanne Lenglen, frequently spraying his trademark backhand drive long or into the net as he looked to keep the points short against 152nd-ranked Kovalik, who was making his Roland Garros debut. But the Swiss did enough to win the rallies that mattered, extricating himself from a deep hole in the second set tiebreak, taking the last five points after trailing 6-3. After connecting well with a backhand to take the final point, a sigh of relief as he approached the net suggested he was glad to put the encounter - lasting a shade under two hours and in which he made 33 unforced errors - behind him. Having had less time than he might have wished to adjust between Geneva, where he took the title on Saturday, and Paris, he took the longer view in upbeat comments after the match. 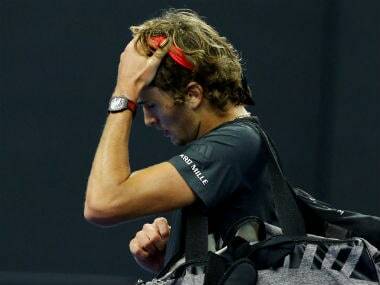 "It wasn't particularly easy after Geneva... but I feel good," Wawrinka said courtside. "I hope to go deep (into the tournament) this year." 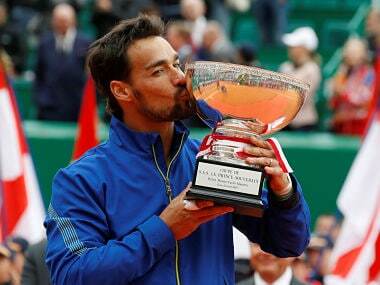 The Swiss will play Ukraine's Alexandr Dolgopolov in the second round.